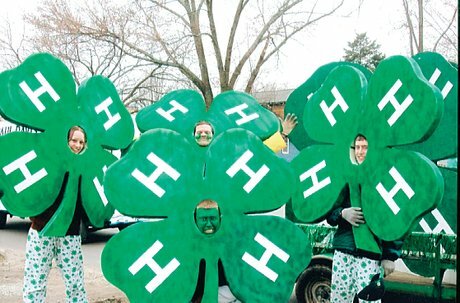 Now is the time to join Champaign County 4-H! We would love to have you join 4-H club activities, attend 4-H Camp Clifton, participate in the Champaign County Fair and possibly the Ohio State Fair. Be sure to call 937-484-1526 before the deadline of March 1st. We will direct you to clubs in your area who are accepting new and enthusiastic 4-H members! Welcome to Ohio 4-H! Through 4-H, youth learn leadership, citizenship, life skills, and more. The 4-H experience could not happen without adult and teen volunteers advising and leading our local 4-H programming. These dedicated 4-H people provide the framework in which youth can grow. However, just as important is parental involvement. Making the 4-H experience truly successful requires that parents assist their children in participating in 4-H activities and completing 4-H projects. The results will be the development of skills and knowledge and ultimately successful young adults. For over one hundred years, we have known that 4-H is a fun and enjoyable family adventure. We all look forward to the same in this coming year.